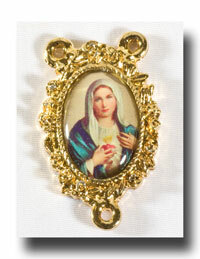 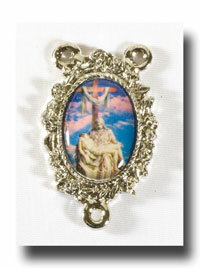 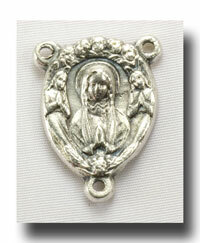 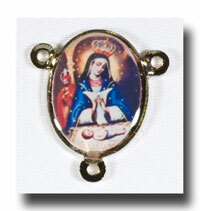 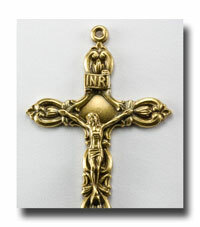 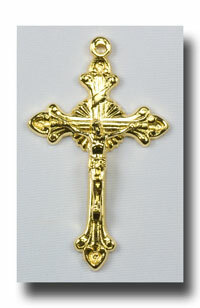 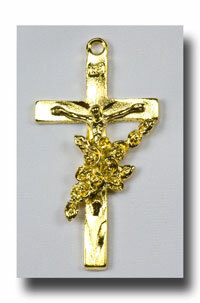 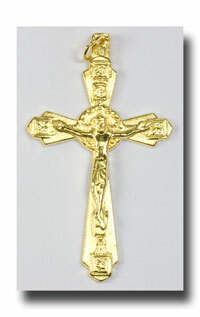 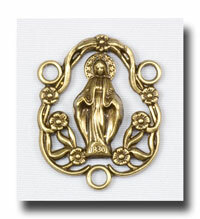 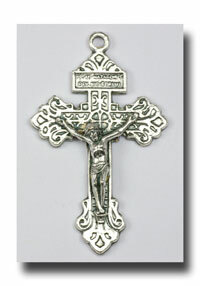 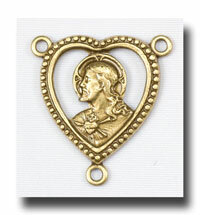 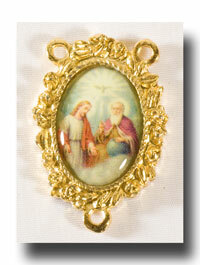 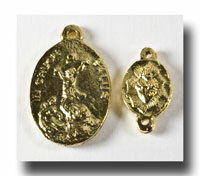 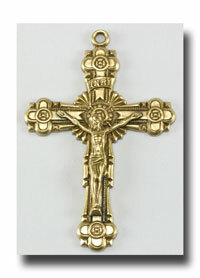 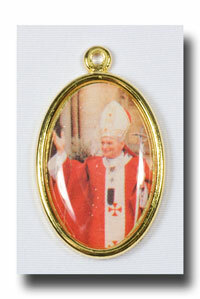 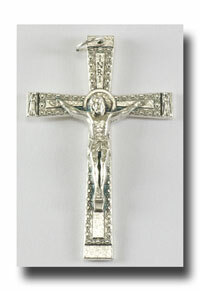 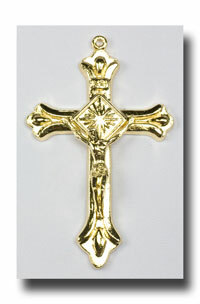 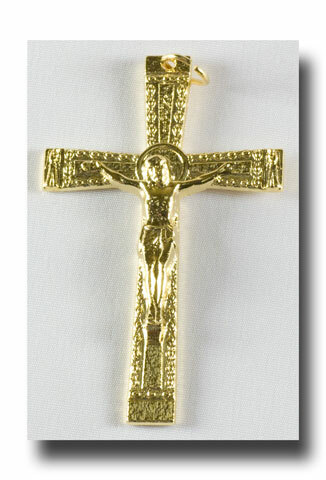 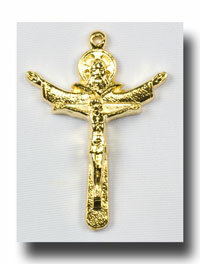 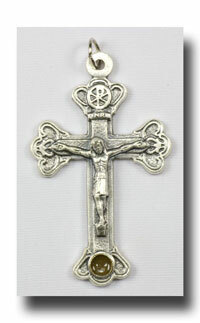 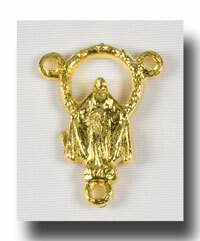 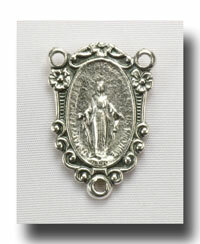 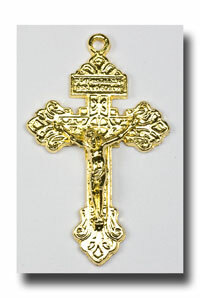 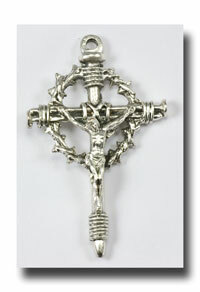 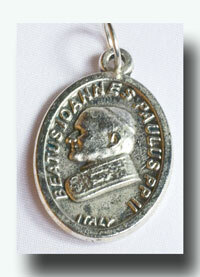 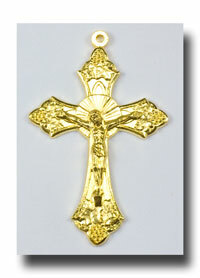 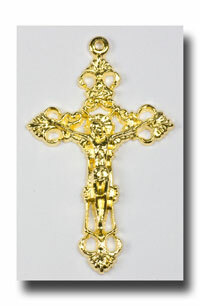 Attractive squared Crucifix with a patterned edge at 2 inches in length. 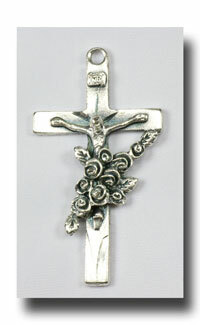 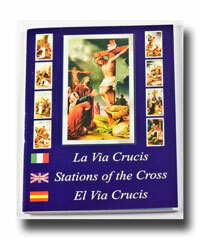 The tiny images on the two ends of the horizontal bar of the cross are tiny angels adoring Our Lord. 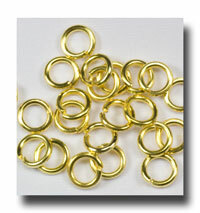 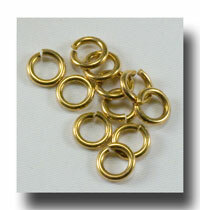 The colour is gilt or gold-tone. 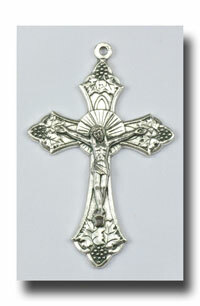 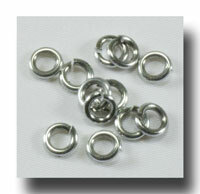 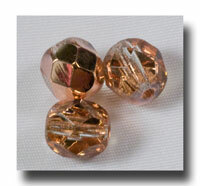 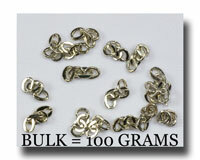 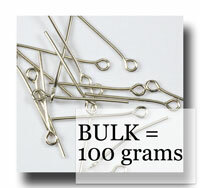 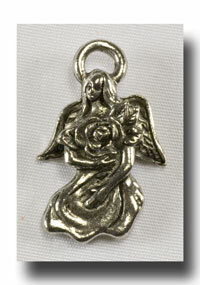 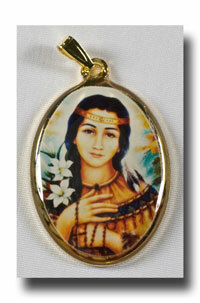 This product was added to our catalog on Tuesday 19 July, 2011.